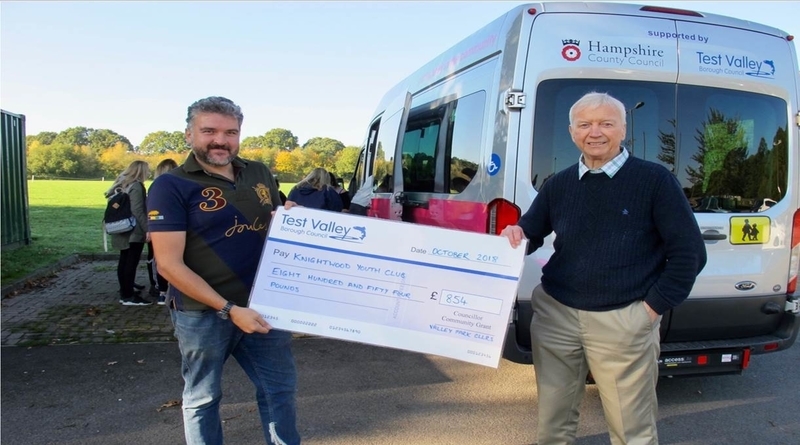 Hundreds of pounds have been awarded to a Valley Park youth club by Test Valley Borough Council to make sure their trips are affordable and accessible to all families. Councillors Alan Dowden and Christopher Thom presented a cheque for £854 as 15 youngsters from Knightwood Youth Club were waved off for their trip to Thorpe Park. The funding, through a Councillor Community Grant from Test Valley Borough Council, is a contribution towards the cost of the trip and another activity on November 26 when a group head to Gosport to try their hand at go-karting. As well as funding some of the travel costs associated, the money goes towards food costs to ensure trips are available to all. I think it’s so important to make sure all children and families have equal opportunities in accessing these kinds of clubs and facilities. Watching them all go off to enjoy themselves in half-term is fantastic. I am sure that both of these fun activities will provide memories of a great day.